Navy Topshop Jeans first surfaced on Chictopia's streetstyle gallery in Fall 2013 seen on Prague blogger fashioninmysoul of voguehaus.com. She wore her navy Topshop jeans with a tan sam edelman boots, beige American Apparel sweater, and mustard H&M scarf. 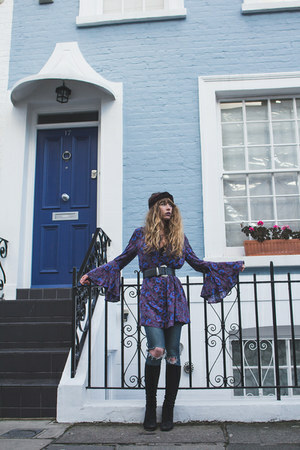 Since then, Navy Topshop Jeans have grown in popularity as bloggers from London, Cork, and Santiago have discovered them. Navy Topshop Jeans are generally seen in casual, chic, and basic style. Popular types of Navy Topshop Jeans are destroyer jeans, skinny jeans, high-waisted, skinny, and high waisted. 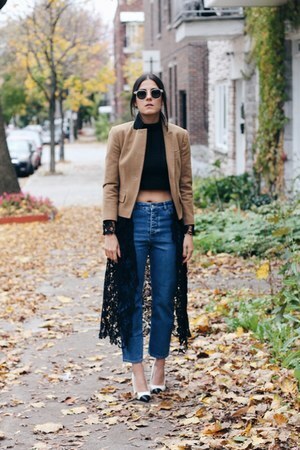 There are currently 142 streetstyle photos of bloggers wearing Navy Topshop Jeans. Most recently, blogger patriciaprieto of itsparadigma.com styled her navy Topshop joni jeans with a tan Palladium leather boots. What makes the perfect pair of jeans?